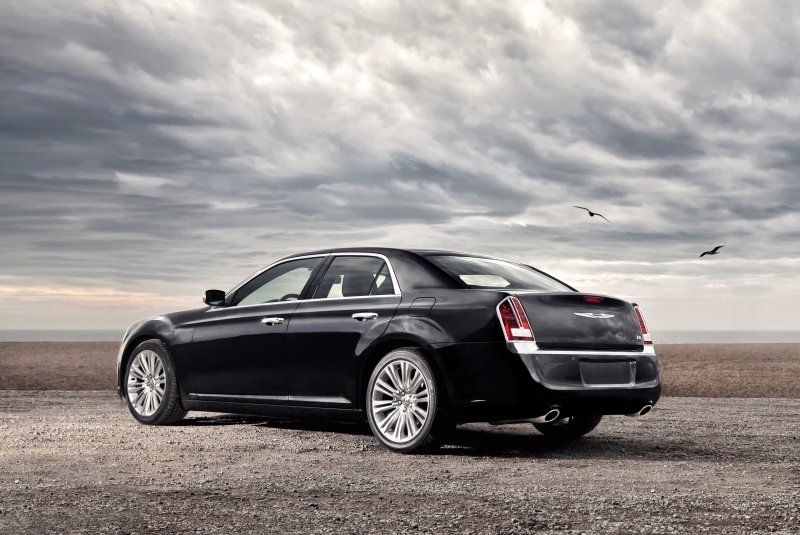 Hear this, sedan fans: the reinvented 2011 Chrysler 300 is nothing short of a revelation. It’s a full-size, rear-drive, stylish, luxurious, high-tech, urbane four-door that starts well equipped at about $28,000, or roughly the same as a Honda Accord V6. We’re flummoxed, and we imagine rival automakers are as well. Is the 300 beyond reproach? Glad you asked – and no, it’s not. 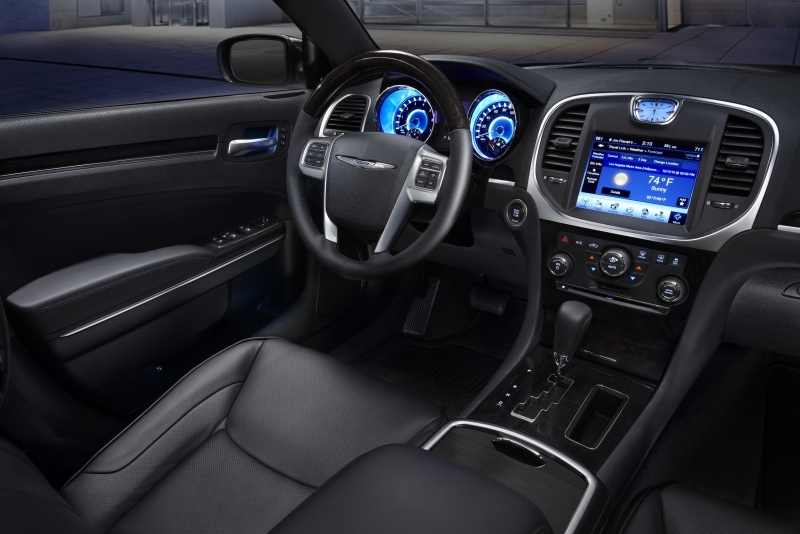 Whether you get the volume-selling 3.6-liter V-6 or the 300C model’s 5.7-liter V-8, you’re stuck with an outdated five-speed automatic transmission that generates noticeable shift shock, especially with the V-8. An eight-speed unit is in the pipeline, and it can’t arrive soon enough. The bottom line, though, is that Chrysler has worked a minor miracle here. Not that the old 300 was a bad car; in fact, it was pretty satisfying in its day. But that 300 had some typically American foibles: uninspired interior design, tacky materials, sloppy steering. Satisfying, yes – for a big American car. The new 300, however, is satisfying, period. 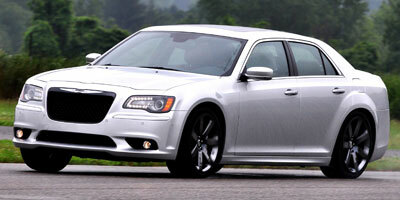 Hear this: Chrysler’s on the comeback trail, and the 2011 Chrysler 300 is leading the charge. The 300 works because it’s a happy marriage of the best from America and Germany. 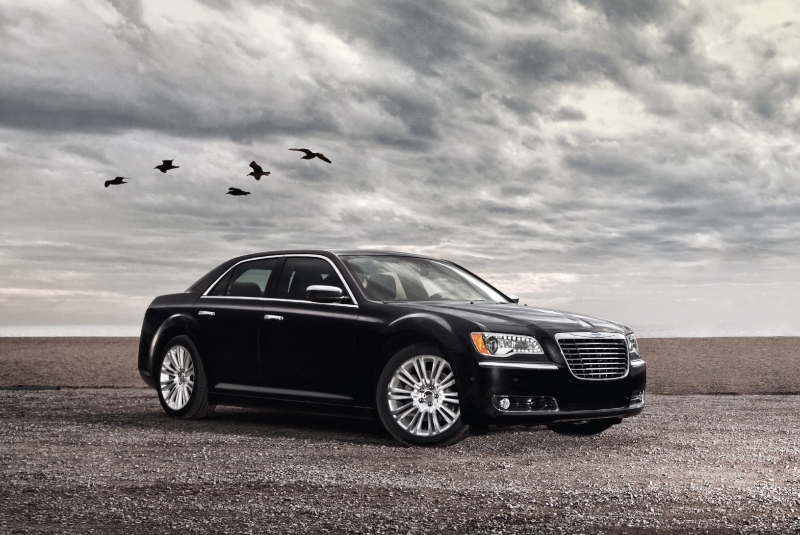 Big, brawny (in 300C trim), in-your-face stylish – that’s the American part. Refined, composed, tech-savvy – there’s the German influence. Chrysler was controlled by Daimler Benz for a spell, remember, and the 300’s underpinnings continue to carry traces of E-Class DNA. Add Chrysler’s American sensibility to the mix, as well as real financial support (finally) courtesy of new owner Fiat, and you’ve got yourself a winner. The V-6’s softness at low rpm needs work, and the Garmin nav software is a bummer; perhaps some proprietary software is in the works as a replacement, just as the inferior five-speed automatic is slated to be replaced by an eight-speed. 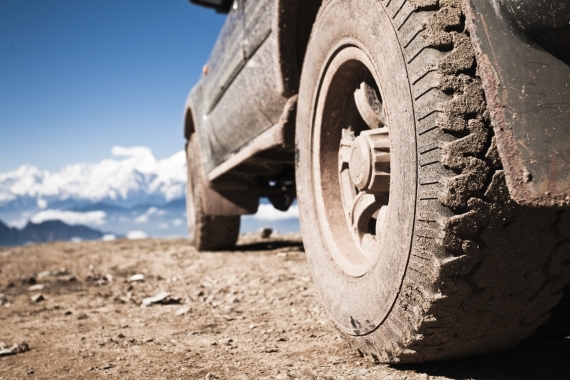 The all-wheel drive model (V-8-only) is hampered by a relatively stiff ride and elevated road noise from its special tires. There are nits to pick with this car if you look close enough, though it’s impressive that a close inspection is now required. The rear-wheel drive 300 basically rides like a big German luxury car. You don’t float over bumps, but you don’t feel them as harsh impacts, either. There’s a controlled, athletic character here that persists in spirited cornering, where the 300 feels surprisingly well-sorted given that its primary purpose is to devour highway miles. The 300C AWD is a somewhat different story: thanks to its stiffer and slightly less sophisticated suspension, there’s more in the way of vibrations from the road below, and more tire thwack, too. But it handles impressively well for such a big machine – pin the throttle mid-corner, if you’re into that sort of thing, and the car just tucks itself in and slingshots forward. The rear-drive 300C would probably end up sideways under the same circumstances, though that result has its own appeal. All 300s have respectably accurate and responsive steering. The regular rear-drive 300 is powered by a 3.6-liter V-6 rated at 292 horsepower and 260 lb-ft of torque, while the 300C and 300C AWD get a 5.7-liter V-8 that cranks out 363 horsepower and 394 lb-ft of torque. The V-6 isn’t memorable, but it’s adequate unless you demand low-end torque, which it lacks. Step up to the V-8 and you get torque everywhere along with a muffled yet still engaging muscle-car soundtrack. The mandatory (for now) five-speed automatic transmission is smooth enough under normal circumstances, but a heavy foot unlocks obtrusive upshifts that get clumsier with the V-8. While there is a manual mode, we don’t recommend using it: responses are delayed, and downshifts aren’t rev-matched. 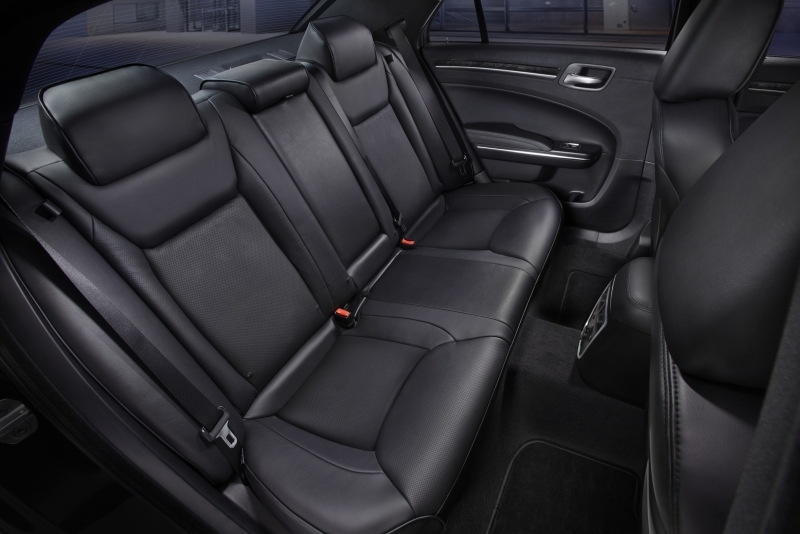 The entry-level 300 boasts an impressive roster of standard features, including a 12-way power driver seat with a bottom cushion that tilts independently of the rest of the seat—a nicety that Lexus, for example, steadfastly refuses to adopt. Dual-zone automatic climate control and an iPod/USB jack are also standard, as is an excellent touch-screen interface. Among the notable options are a dual-pane panoramic sunroof, Bluetooth (which we wish were standard), an Alpine stereo and some pretty attractive leather upholstery. The 300’s standard ‘Uconnect Touch 8.4,’ an 8.4-inch (that’s big) touchscreen command center in the middle of the dash, really sets it apart. Yes, Ford has its MyTouch system, but that’s optional, and everyone’s complaining about long load times. No such issues with Uconnect, which features rapid responses and crisp graphics. It’s like using a good ATM: intuitive, quick and painless. 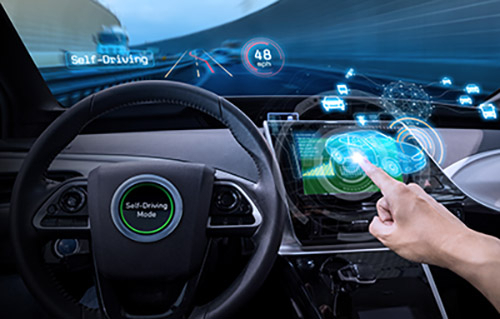 The only real blemish is the rudimentary optional Garmin navigation system, which is basically a program that’s added to Uconnect like a smartphone app. This app-like functionality gives us hope that an improved navigation program is in the 300’s future. The regular 300 is rated at 18 miles per gallon city and 27 mpg highway, while the 300C RWD comes in at 16/25. That’s about average for a big sedan like this. The 300C AWD drops to an SUV-like 15/23. Inside the 300, the first word that comes to mind is ‘quality.’ Just look at the door panels, which are slathered with a supple, expensive-looking material that rivals the best from Audi/Volkswagen. The dash follows suit, featuring soft-touch stuff all over the place, even down where your knees hit the center console – a boon for long-legged drivers. The only memorably cheap piece in a heavily trafficked area is the hard plastic door panel surrounding the window switch. Front-seat comfort is very good, and the backseat is wholly hospitable unless you’re tall, in which case your head might brush the ceiling. Fiat insisted on some last-minute changes to the 300’s sheet metal, and the result is an interesting mix of American and European style. In profile and from the back, the new 300 closely resembles the old one—but from the front, it looks faintly like a muscle-bound Audi, an impression reinforced by the Audi-esque LED headlight accents. We think the overall effect is singular and quite successful. In a segment where conservatism is the norm, Chrysler deserves major points for originality. The 300 is a very attractive proposition at its starting price of around $28,000. You could get a V-6-powered family sedan instead, but most really pale in comparison. The Buick LaCrosse and Toyota Avalon are larger front-drive alternatives, but the 300 feels more robust and comes better-equipped. Compared to luxury sedans like the Cadillac CTS, Lincoln MKS and Lexus ES350, the base 300 still comes out looking strong. 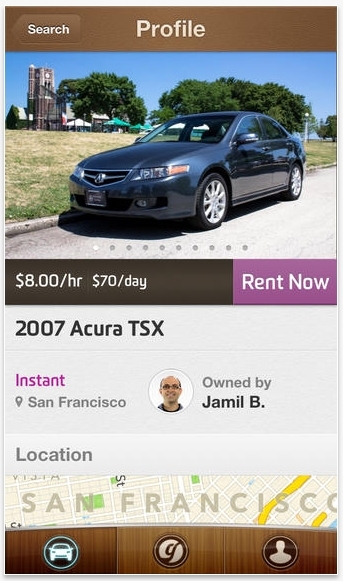 Shoot, it even makes the famously value-packed Hyundai Genesis ($33K) look a tad overpriced. Same goes for the 300C, which starts around $39K – $4K less than the Genesis V8. Hyundai stole the show a couple years ago with the Genesis, a luxury sedan that delivered all the expected goods at a shockingly low price. Well, now it’s Chrysler’s turn. Seemingly overnight, the 300 has transmogrified into a genuinely desirable and surprisingly affordable luxury car that merits consideration from a wide range of shoppers. Color us impressed.